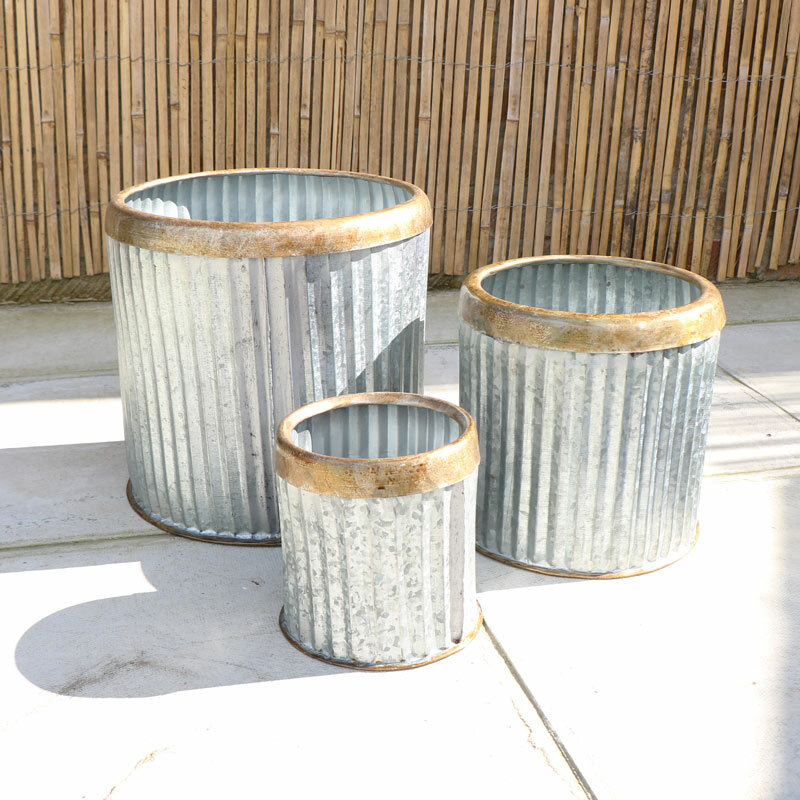 Set of 3 industrial style round grey metal planters with ribbed detail and rolled brass effect top. Perfect gardening gift. 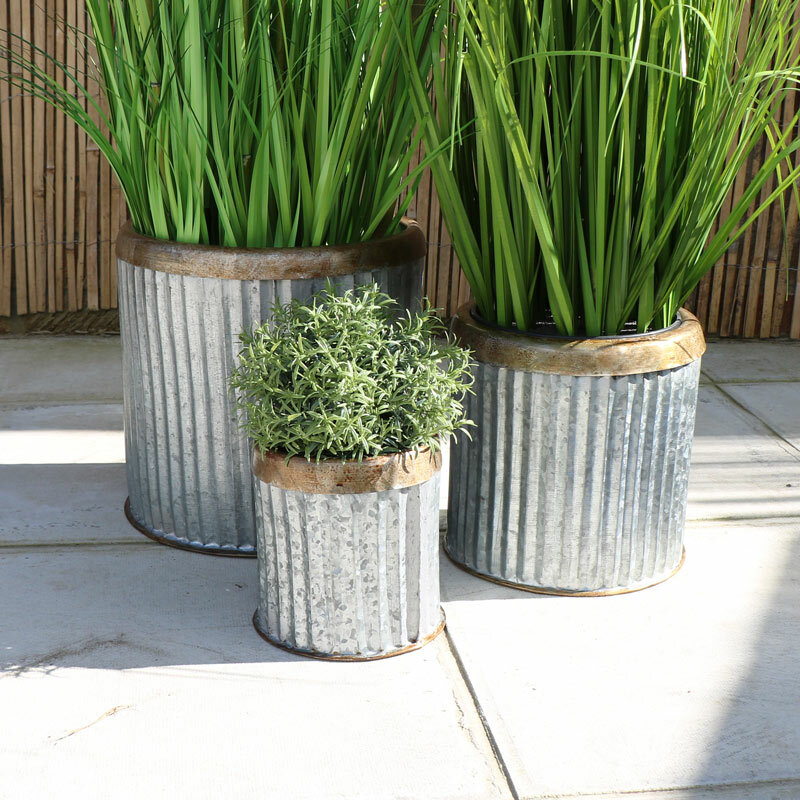 Varying sizes, large to small, perfect for displaying plants and flowers in the garden. Use individually or in the set for indoors or outdoor use. A great look for an all year round display for the home and garden. 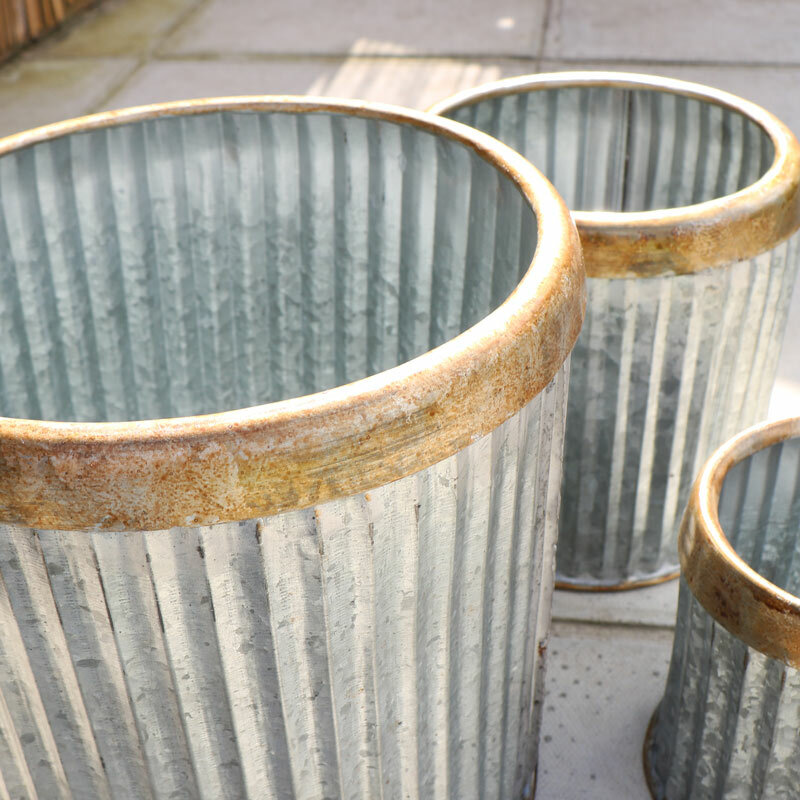 Set of 3 industrial style round grey metal planters with ribbed detail and rolled brass effect top. Perfect gardening gift. 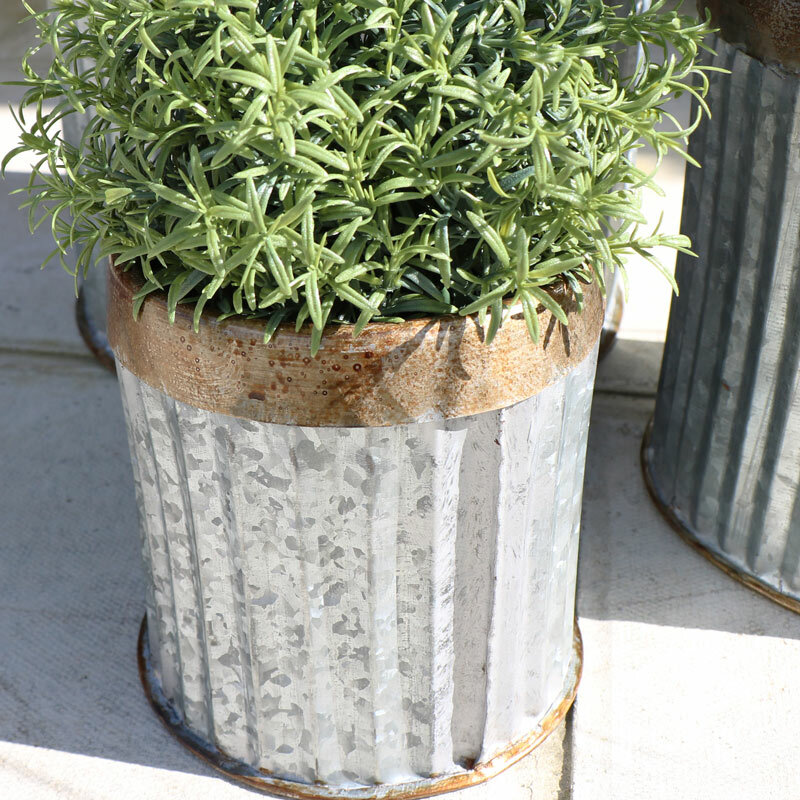 Varying sizes, large to small, perfect for displaying plants and flowers in the garden. Use individually or in the set for indoors or outdoor use. A great look for an all year round display for the home and garden.